As Secretary, he led the largest, most public-facing office of the Governor’s cabinet, and was the driving force behind transforming the process that restores civil and voting rights. Under his leadership, Virginia restored more rights than any other state in the country and more than the past seven administrations combined. 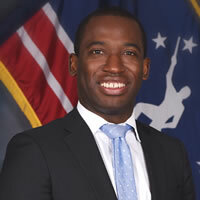 Mayor Stoney served as Executive Director of the Democratic Party of Virginia during a transformative time for the state, leading to President Obama’s historic Virginia victory in 2008. At the time, he was the youngest leader of a state Democratic Party in the country. In 2013, he served as the Deputy Campaign Manager for Governor McAuliffe’s successful gubernatorial campaign. Mayor Stoney has initiated a number of long-term improvement projects aimed at building One Richmond. He launched RVA Green 2050 and issued a mayoral directive protecting rights of all immigrants in our city. He also created the Monument Avenue Commission, which, along with citizen input, will determine the best way to tell the full story of Richmond’s Civil War history. As promised during his campaign, Mayor Stoney asked Virginia Commonwealth University’s Wilder School for Government and Public Affairs to conduct a performance review. With the results of the review, Richmond is poised to increase and improve city services. Under Mayor Stoney, the city has already filled 20,000 potholes and repaired 11,600 alleys in 9 months. His first budget included a record-breaking investment in Richmond’s public school students, showing a commitment to the city’s youth. The Education Compact between the School Board, City Council, Mayor’s Office, and key community stakeholders, like teachers and administrators, is poised to tackle any obstacles that block Richmond children from their full potential. Since the people of Richmond elected Mayor Stoney, Richmond has been named the #2 Top Place Millennials are Moving by Time Magazine and a Top 25 Best Place to Live by U.S. News and World Report. Southern Living also named Richmond one of the South’s Best Cities. The Richmond Times Dispatch recognized Mayor Stoney as the 2016 Person of the Year. In June, 2017, he was named a Politico Rising Star. The numbers, not just the accolades, forecast a bright future for the City of Richmond under Mayor Stoney’s leadership. In the 2016-2017 fiscal year alone, the administration has helped create over 2,400 new jobs and has attracted 37 new businesses to the Richmond area. He has visited nearly every school, every police precinct, held Mayor’s Community Office Hours in every district and participated in more than 150 community events.